Below you fill find all funeral homes and cemeteries in or near Holmdel. Popular neighborhoods in Holmdel include: Pleasant Valley Crossroads, Crawford Corners, and Morrells Corner. Suburbs of Holmdel: Holmdel Village. 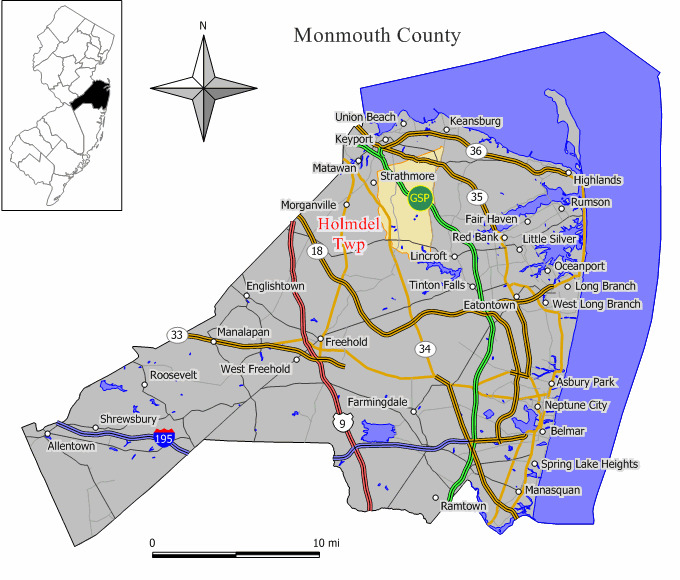 Holmdel is also known as: Holmdel Township, and New Jersey. Their current mayor is Mayor Donna Vieiro. Zip codes in the city: 07733. Some of the notable people born here have been: Lorene Scafaria (screenwriter and actor), Gillian Vigman (comedian and actor), and Julie Sokolow (songwriter and singer). Holmdel Township is a township in Monmouth County, New Jersey, United States. As of the 2010 United States Census, the township's population was 16,773, reflecting an increase of 992 (+6.3%) from the 15,781 counted in the 2000 Census, which had in turn increased by 4,249 (+36.8%) from the 11,532 counted in the 1990 Census.Holmdel Township was formed by an Act of the New Jersey Legislature on February 23, 1857, from portions of Raritan Township (now Hazlet). The origin of the township's name is unclear, with some sources indicating that is was named for the Holmes family, who were early settlers of the area, while others point to Dutch language words Holm and Del, meaning "pleasant valley".Holmdel is located 15 miles (24 km) west of the Jersey Shore. The township is notable, among other things, for its historical and present connection to Bell Labs. Important evidence for the Big Bang was discovered at a Bell Labs facility in Holmdel by Arno Penzias and Robert Wilson, both of whom won the Nobel Prize in Physics for their work here.Holmdel's picturesque beauty, proximity to New York City and main highways, award-winning public schools, large homes, rich history, PNC Bank Arts Center, and the presence of many high paying jobs within commuting distance led the township to be ranked the #1 "Six-Figure Town" by Money magazine and CNN for 2009. It was noted on October 24th, 2017 that Linda Foley (Martin) died in Holmdel, New Jersey. Ms. Foley was 70 years old and was born in Portland, ME. Send flowers to express your sorrow and honor Linda's life. It was reported by The Daily Journal on September 19th, 2017 that James Wallace Paterson passed away in Holmdel, New Jersey. Paterson was 83 years old and was born in Westerly, RI. Send flowers to share your condolences and honor James Wallace's life. It was noted by The Daily Journal on December 18th, 2014 that Ramon Nunez Rodriguez died in Holmdel, New Jersey. Rodriguez was 85 years old and was born in Lares, . Send flowers to express your sorrow and honor Ramon Nunez's life. It was revealed by San Mateo County Times on February 10th, 2013 that George F Francis passed on in Santa Clara, California. Francis was 84 years old and was born in Holmdel, NJ. Send flowers to express your sympathy and honor George F's life. It was reported on January 31st, 2013 that John J Jr Corrigan passed away in Holmdel, New Jersey. Corrigan was 97 years old and was born in Hazleton, PA. Send flowers to express your sympathy and honor John J Jr's life. It was noted on January 16th, 2013 that Melvin L Duckworth passed away in Holmdel, New Jersey. Duckworth was 88 years old and was born in Moscow, MD. Send flowers to express your sorrow and honor Melvin L's life. As of the United States 2000 Census, the township population was 15,781. In 1964, Arno Penzias and Robert Woodrow Wilson Wilson of Bell Labs discovered the cosmic microwave background radiation while working on the Horn Antenna in this town. Holmdel Township is a Township (New Jersey) in Monmouth County, New Jersey County, New Jersey, United States. Adjacent to it is the New Jersey Vietnam Veterans Memorial, which opened on May 7, 1995. 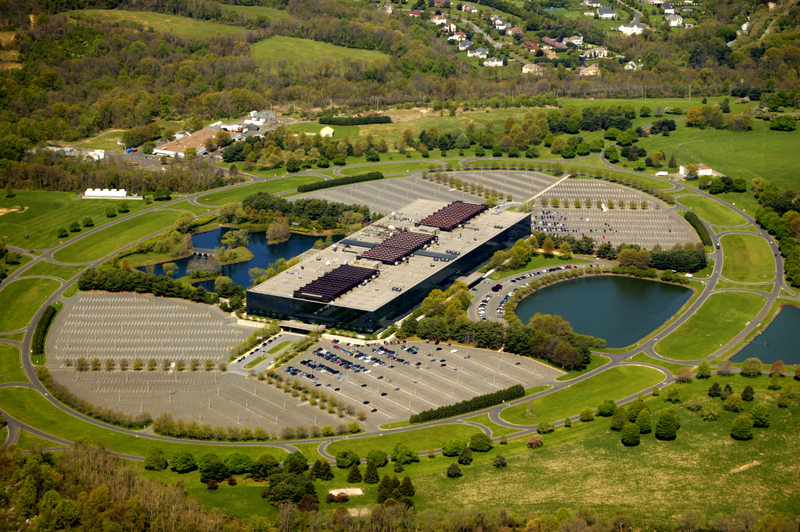 VoIP provider Vonage Holdings, Inc., moved its world headquarters from Edison, New Jersey New Jersey, to Holmdel in November 2005, occupying the building that formerly housed Prudential Financial Property Casualty & Insurance. The earliest work on radio astronomy was conducted by Bell Labs engineer Karl Guthe Jansky in 1931, also in this town. The official website for the city of Holmdel is http://www.holmdeltownship.com/. Listing all funeral homes in Holmdel, New Jersey so you can easily send flowers to any location (same day delivery) or find any funeral service. funerals in Holmdel, NJ on Yahoo! Local Get Ratings & Reviews on funerals with Photos, Maps, Driving Directions and more. funerals in Holmdel, NJ 07733 on Yahoo! Local Get Ratings & Reviews on funerals with Photos, Maps, Driving Directions and more. We work with local florists and flower shops to offer same day delivery. You will find budget sympathy flowers in Holmdel here. Our funeral flowers are cheap in price but not in value.